Maybe it's for your kids. Maybe it's for you, for fun or exercise. Maybe it's for you, because you compete. Maybe it's for your parents. Whatever the reason, if you want Connecticut to be a better place to bike and walk, this is the organization for you. We work with the state's policymakers so you don't have to. The more financial support we have from people like you, the more we can accomplish. 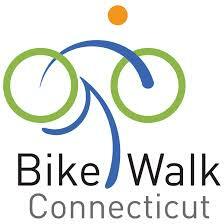 So join, donate or become a business sponsor to make Connecticut a better place to bike and walk.